Choose from three liner families: Lux Liners, EEP Liners, and ACH 360 Liners. Lux Liners provide a one-piece full coverage impact layer with modular, breathable comfort pads that can be customized and repositioned for comfort without affecting impact performance. EPP Liner Kit pads, layered with LDV closed-cell comfort foam that seals out air, dust and moisture, provide a lightweight, multi-impact ventilated liner. And, the ACH 360 Liner’s two-piece construction maintains blunt impact protection throughout the head, regardless of location of the Comfort Pads. Pads on all liners are reposition able to suit individual comfort. Different retention options are available for varying mission needs. Employs vents and a more streamlined geometry than the standard Ops-Core Lux Liner for increased air flow, comfort, and a better fit. 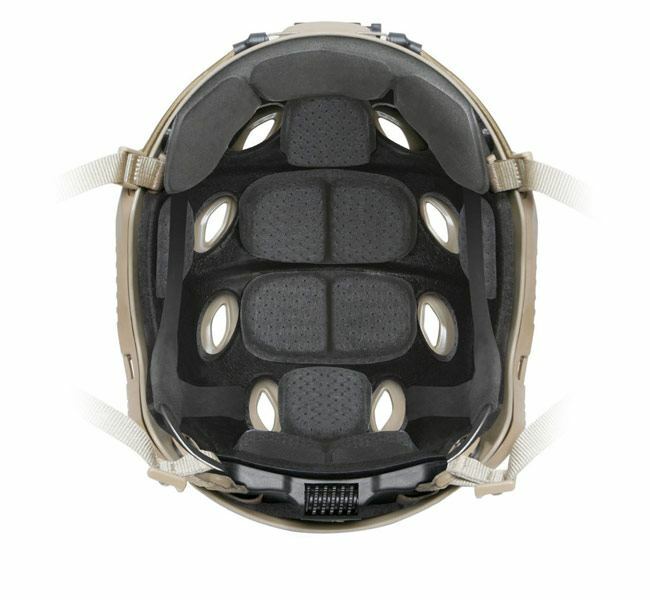 The Ops-Core H-Nape Head-Loc Chinstrap retention system is designed to provide NVG stability. 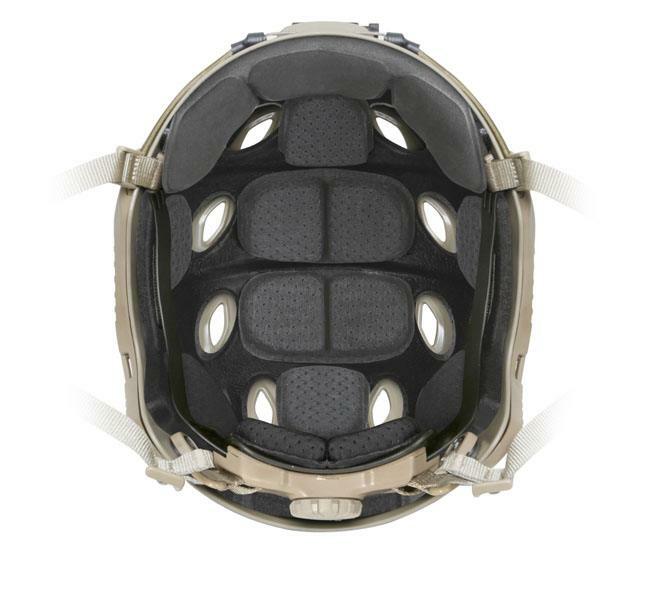 Installs using the VELCRO® brand fasteners in the shells and comes in corresponding helmet sizes (S/M, M/L, L/XL). Also offered with the Ops-Core Worm-Dial Retention System, which provides a quick adjustment in a low profile fit band. Seamlessly integrates with all Ops-Core FAST Ballistic, and Non-Ballistic Helmets. Ops-Core Worm-Dial retention system provides a quick adjustment in a low profile fit band. 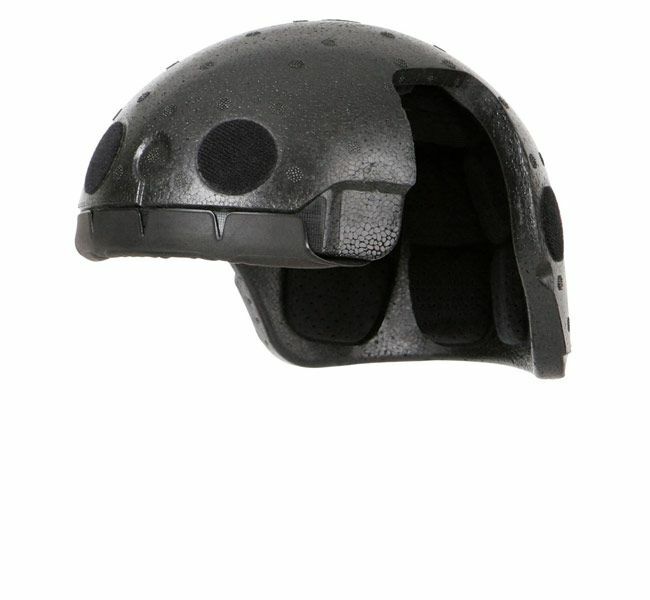 Installs using the existing VELCRO® brand pattern in the shells and comes in corresponding helmet sizes (S/M, M/L, L/XL). 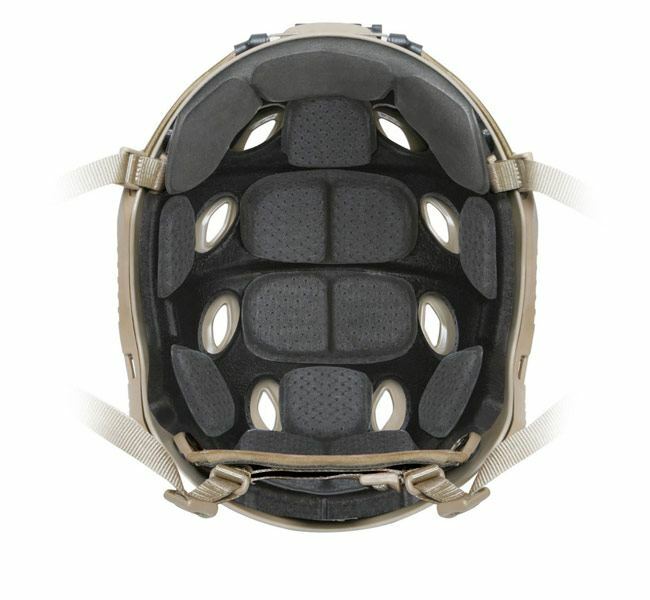 Also offered with a traditional Ops-Core H-Nape Retention System, designed to provide NVG stability.